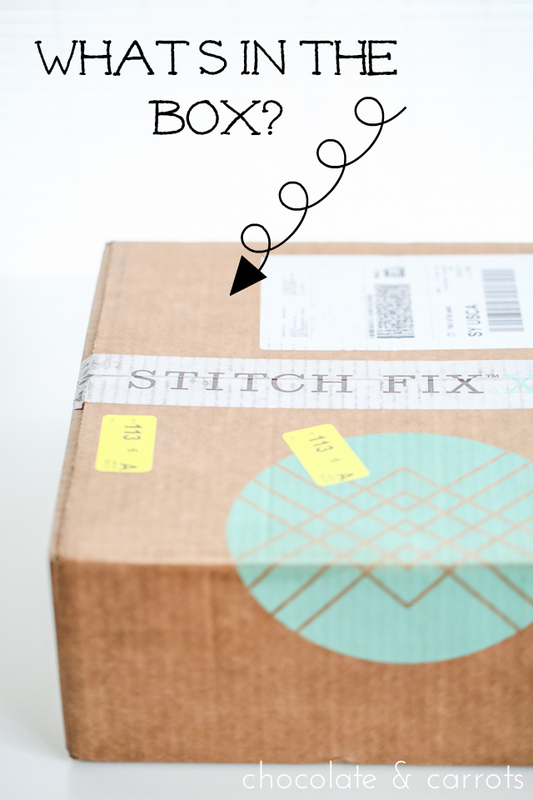 I can’t get enough of the Stitch Fix! I was waiting by the front door all morning until my box arrived. I’m telling you, it’s like a little Christmas gift from Santa! 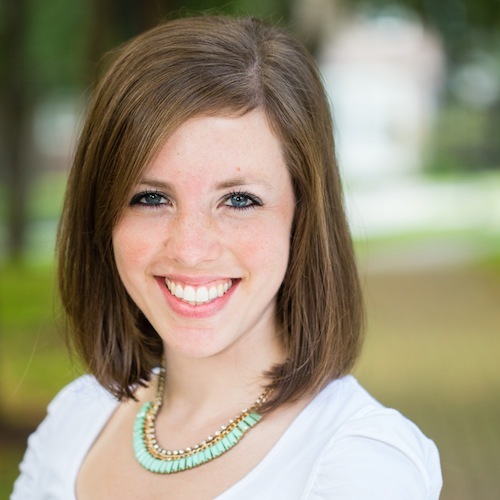 If you haven’t heard of Stitch Fix before, it’s an online service where you fill out a style profile, pay $20 to have a stylist pick out clothing or jewelry for you and send them to you. Once you receive them, try them on and you have three days to choose which ones you’ll keep and which ones you’ll return (package and shipping already included). If you keep any of them, that $20 styling fee goes towards your final purchase. Easy peasy! Now, let’s see what they’ve chosen for me today. I’ve got to say, they have NAILED my size….no so much my style, but just to know that I can get pieces of clothing that would have taken me hours of trying on just to get the perfect size, makes it feel so good! 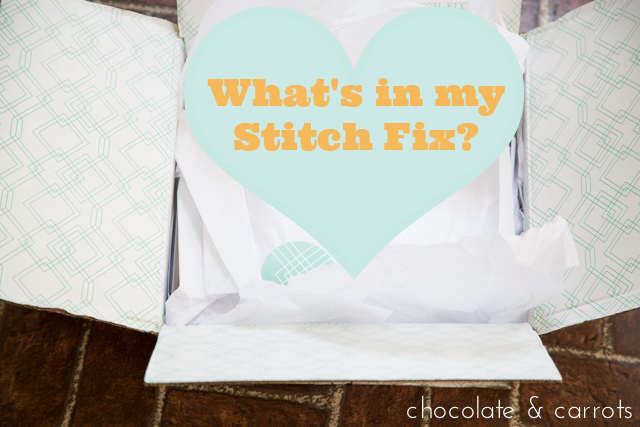 And a note before we begin: I’ve chosen the cheapest clothing option again with this Stitch Fix, but this has been the priciest box I’ve received…and I’m not sure how much I like that. :-/ Also, most of the clothing that I’ve gotten has been hand wash cold or dry clean only. This box is no different. However, I’ve just been washing in cold with the rest of my clothes in the washing machine and I let them dry on a hanger. So far, so good! 1. First up is the Everly Keren Draped Hi-Lo Long Sleeve Maxi Dress. I really like this dress. I’ve never been a fan of the hi-lo dresses on me, but this one is so flowing that it works. I’m still a little concerned about this dress showing everything, but I guess that’s my lack of self confidence shining through. I really like the color and the long sleeves. Perfect for fall! Hand wash cold or dry clean. This dress is $68. 2. Collective Concepts Ken Windowpane Print A-Line Dress: This dress fits me like a glove. It’s so comfortable and I’m loving the zipper in the back. I wish it had pockets. That would have made it perfect! I’m a little unsure about the pattern. I feel like it makes me look a lot thicker in the waist than I am. If this was a solid color or even another pattern, I would buy it in a heart beat. Maybe I can find the brand online to see if they sell any other styles! Dry clean only. This dress is $78. 3. Next is the Kensie Jeans Kaine Floral Print Skinny Jeans. The jeans are so soft and comfortable and the waist goes up really high, making me feel safe and secure. 😉 I’m not so crazy about the pattern or that they go up so high on my ankles. Now that I know my size in this brand, I’m going to look them up! Machine wash cold. Size 29. These jeans are $88 and I searched online and this is pretty much what they retail for, too. 4. 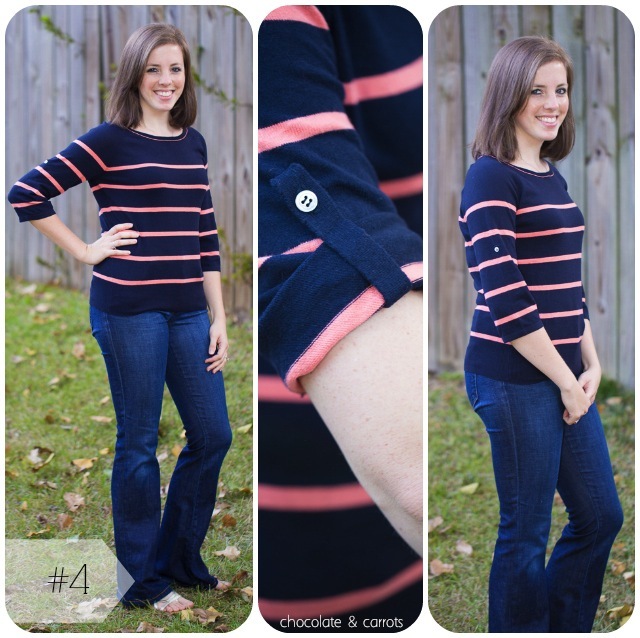 Now, let’s talk about the THML James Striped Cotton Tab Sleeve Sweater. It’s so simple and I probably would have never even tried it on if I saw it on the rack. But, it is very comfortable and the horizontal stripes don’t make me look too wide. 🙂 It’s a three quarter sleeve sweater, which to me, is kind of pointless for the winter, but it’s still cute. Hand wash cold or dry clean. This sweater is $58. 5. Finally, we have the Under Skies Geena Tab-Sleeve Belted Tunic. This shirt is quite comfortable again and it hides my imperfections like a charm! I feel like it’d be great with some leggings and boots for the winter. Now, I have to decide how I feel about the belt end just hanging out with no loop to secure it. Tape? 😉 Hand wash cold. This shirt is $48. 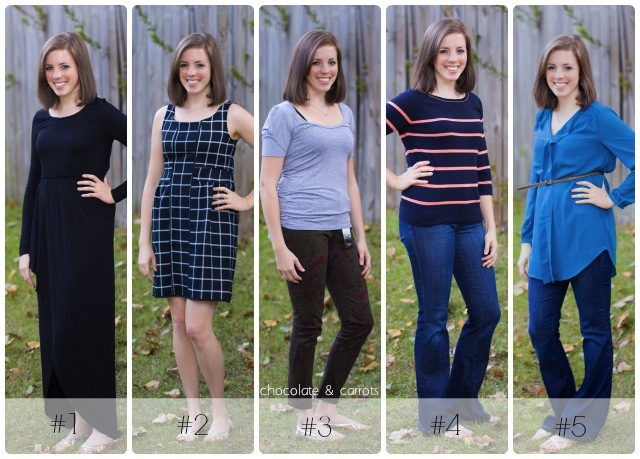 I listened to you and ended up keeping the dress in #1 and the sweater of #4. 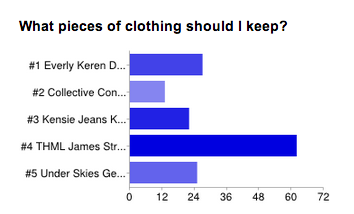 I also purchased a black pair of the skinny jeans in #3 on ebay (for half the price!). 😀 Woot! This is not a sponsored post. I purchased the Stitch Fix box by myself. 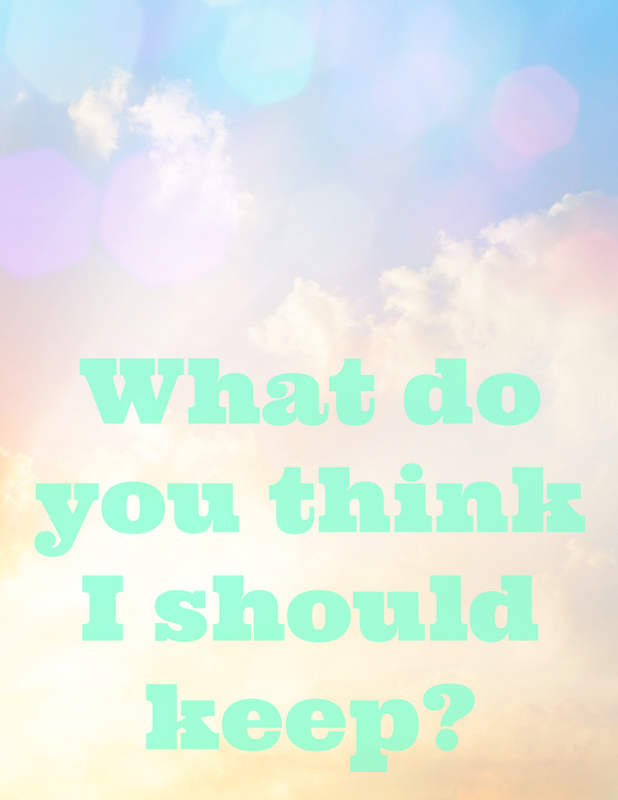 This post does contain referral links for new sign-ups that gives me a small credit towards my next box because you want to make me more fashion forward, right? The skinny jeans are hands down my favorite, and I agree with Jenny that they are perfect on you! Thanks Kelli! 😀 I’m excited to wear them. Yay! And I hope you like your box! I also love the skinny jeans. Patterned pants are so in and even though it may seem weird to you- I love them. I also personally love the ankle length with some flats maybe? Genius! I never think about belts. You’re totally right! So cute! You’re totally right. I think those two examples are so cute! I need to get some cute ankle booties! 🙂 Thanks Jeannette! Ok the skinny jeans are amazing!! You HAVE to keep. They look perfect on you. I really like the sweater in #4 too. You will have a lot of use in that sweater…great classy piece to have. 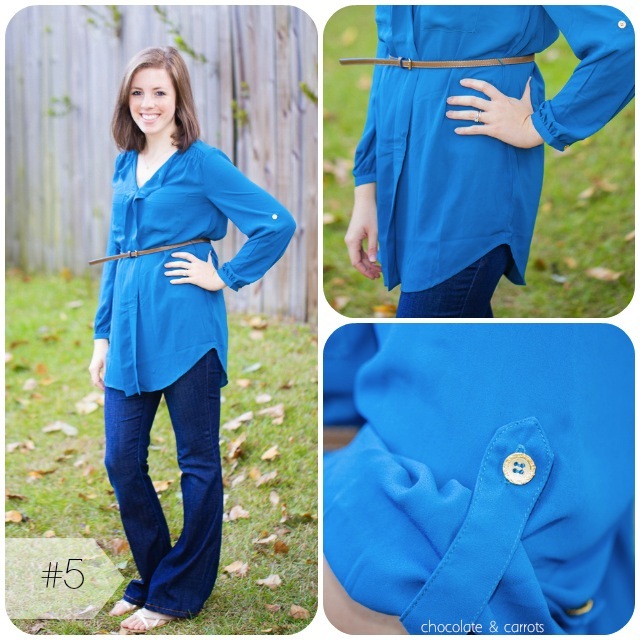 And the tunic in #5 with boots and leggings as you said would be great for fall, spring and winter…triple wammy!! Tough choices since you just look great in everything. I am SO glad you kept dress #1. I have never seen any dress like that for a petite girl (like ourselves). It is really gorgeous and can easily be dressed up or down with jewelry and shoes. As far as the belt with no loop situation, I have the perfect solution! I buy the very tiny clear hair bands. They are small stretchy plastic that is clear. I slide it over the belt and settle it on the end nearest the buckle. I then move it to wherever I want to secure the loose end once it is looped through the buckle. It is clear so it doesn’t show and works like a charm!